Please visit our Advertise With Us page to see the different listing & banner packages offered by KansasHauntedHouses.com. If one of our ad packages seems like a good fit please please read the guidelines below and enter the event information. Please note that submitting an event does NOT guarantee it will be added to our site. Any questions or to find out about custom ad opportunities & partnerships please call 888-228-5265. 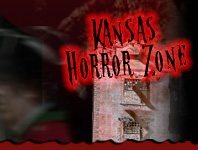 We ask that you link your website to KansasHauntedHouses.com from a page easily accessible from your haunt's home page. We offer a few suggestions on banners and text links to make it quick and easy. If your event is already listed click here to update it for the 2019 season or retrieve your login information. We focus on listing LOCAL Halloween related events & attractions held during the current year. Do NOT use profanity, ALL CAPITAL LETTERS, numbers, or special characters in your listing title. Re-formatting takes time and those entries may be deleted or not approved. All listings MUST have an event phone number OR an event email address (used for visitors to contact you in the event of inclement weather or for more information). LIMIT of ONE EVENT LISTING PER VENUE/ADDRESS. If hosting multiple events at the same location (example: a farm that has a haunted house, pumpkin patch, hayride, spook walk, etc), please do NOT submit multiple entries – instead, consolidate all events into a single listing with the appropriate categories selected. Photos must be in GIF or JPEG format and total less than 2MB combined. For help with pictures please visit PicResize.com to properly size your photos. Fields with an Asterisk (*) next to it are Required fields - Inclusion of any bogus information will result in your listing being removed. Submitting an event does NOT guarantee it will be added to our site - We reserve the right to remove/refuse publication of any listing without notice or explanation. To see our full Terms & Conditions of Use, Click Here. NOT LINKING BACK TO KANSASHAUNTEDHOUSES.COM CAN RESULT IN YOUR LISTING BEING REMOVED FROM THE SITE. Your Email * Must be a valid email. Event Address * Enter the complete address for Google Maps display. NOTE: Individual YouTube videos can be added after your listing is approved. Be descriptive and please do NOT use ALL CAPS. No HTML. Is there a Daytime Family Friendly Event Available? Enter the details here. NOTE: More Photos can be added after your listing is approved. By Clicking the "Submit My Listing" button you agree to follow the guidelines above as well as agree to our Terms of Service.